This Sunday it's International Peace Day, a project set up in the hope that September 21 will become an institutionally recognised day around the world. Founded back in 1999 thanks to Peace One Day and the United Nations, the aim is simple, to create "an annual day of global unity, a day of intercultural cooperation on a scale that humanity has never known". All this week we'll be raising awareness in the hope that this Sunday will be the biggest Peace Day yet. Today, we're looking at creative solutions for conflict resolution, from the Godfather of Israeli graphic design's endless battle for peace to the Syrian artist-journalists looking to document the real-life of their war-ravaged country. In August 2008, Central Saint Martins fashion student Oliver Hemsley was attacked by a group of teenagers in Shoreditch. There was no reason, no provocation, but Oliver was stabbed numerous times. He survived the attack but spent time in a coma and remains wheelchair-bound today. Instead of demanding a longer prison term for his assailant, or demonising the already well-demonised London youth, Oliver and his best friend Katy Dawe sought to understand why. What had driven someone to commit this horrific crime and how can it be prevented happening again? "At the time of Oliver's stabbing there was a lot of sensitivity around things like ‘stop and search’ metal detectors in schools," says Katy. "I find that frustrating because prevention should come before that, we wanted to find the root causes." The organisation began just as a one-off fundraiser selling art donated by superstar artists and designers such as Banksy, Tracy Emin and Christopher Kane. Now it stands independent as an organisation that does not accept pots of money, but rather artworks to be sold, with the proceeds going straight back into strengthening and supporting London's communities. Last year they sold work by Wolfgang Tillmans and Anthony Gormley – it's clear that the creative ethos within Art Against Knives' projects has resonated with many artists. They've looked to discover the positives in disaffected youth, rather than marginalise them for carrying knives or being involved with gang culture. "I took time out of university to spend a year working with the local community and listening to young people, because no one ever asks what they’re interested in," says Katy. "I met an 18 year old girl from Hackney in 2011 who was running a successful drug empire on her own, but she had really strong ideas about what she wanted to see happen for young people in the area. So we hired a car park in Dalston with a soundsystem and spray paint. Loads of people turned up with powerful things to say, and that's when I knew I had to do this full time." Katy and her team are desperate to alter the negative perception of the UK's inner-city youth, a demographic that's discredited by a headline-hungry tabloid media. "If you actually look at why people carry knives it’s for a multitude of reasons. It's because they are facing all risks, hurdles and incredibly tough life situations, its not necessarily out of choice. If we demonise them it harms our wider understanding of the issues. There are also positives in the word 'gang' - these young people are loyal, they look after their mums and parents in ways that I’ve never seen, and I think we forget that when we think about that word." Katy and her team work predominantly in Hackney, East London, a part of the city infamous for its struggles with knife crime, but also on an estate in Barnet called Dollis Valley. "It's one way in and one way out," says Katy. "The majority of people who live there don't come to London and it's severely underfunded, a forgotten satellite town on the outskirts of the nation's capital." 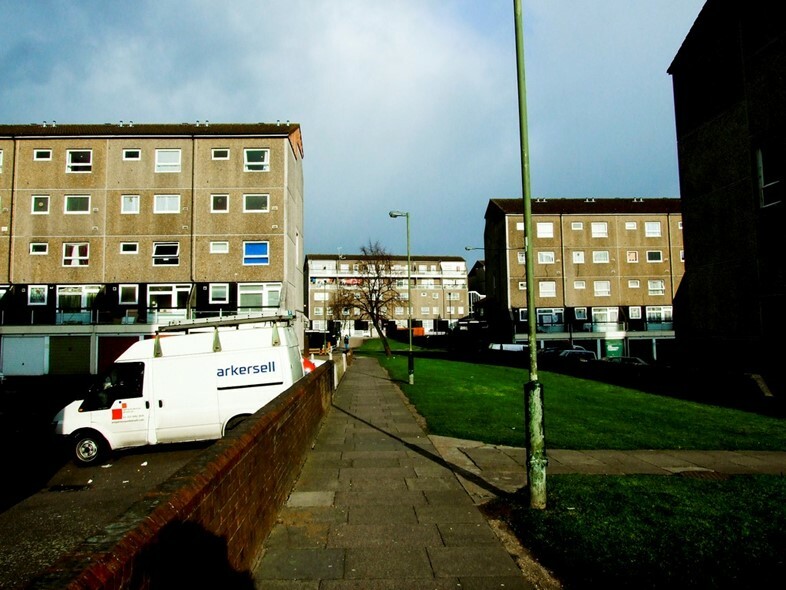 It took Katy three months to connect with the girls on the Dollis Valley estate. "I'm not from where they're from, they aren't used to me - this estate is totally isolated". It was fingernails that brought them together. 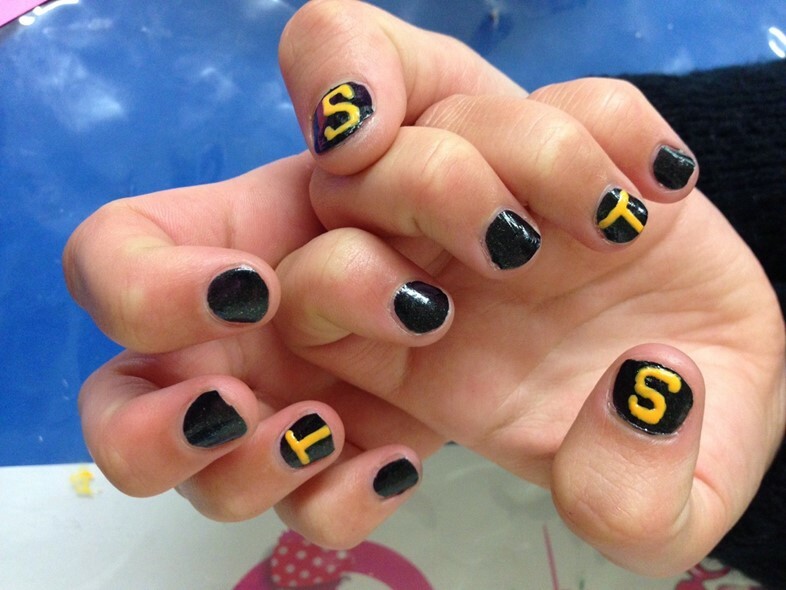 "One day I just pulled out my nail varnish and asked a girl if she wanted her nails painting. It was at this point that we started communicating." That was two years ago. Now, the Dollis Dolls nail bar is open every Tuesday, run independently by girls from the estate. "It's free, the girls are enrolled in training programs, we train them to be nail technicians and deliver qualifications. Then we take the nail bar off the estate and do pop ups, which means that the girls get to travel and work." Buoyed by the success of Dollis Dolls, the team launched Vales Nails earlier in the year on Strawberry Vales Estate in East Finchley, another estate with high levels of unemployment and deprivation. It runs on Strawberry Vales Estate in East Finchley which is another estate with high levels of unemployment. It's built a true sense of community that previously wasn't in place – old ladies come to have their nails done before bingo, connecting the youth on the estate to the elderly. Katy firmly believes that engaging with youth on their terms is the key to gaining understanding. Rather than shoving "listen guys, Shakespeare was actually the world's first rapper" down their throats, it's about taking time to be interested in what they have to say, rather than saying it for them. Art Against Knives just wants to be an ear for anyone that needs support, be it a sufferer of domestic abuse, sexual violence or gang culture. By enlisting former gang members to help them connect with communities that need it, youngsters can learn from the mistakes made by elders. "A lot of the older people have been through a journey of abuse or violence, or they’ve been in prison and they want to change direction. Those people have so much value in terms of supporting us with the work we deliver." Katy seems like she could talk for hours about the work she does and the people she meets. "There's a guy who I can't name, who I've been working with for over a year. He's been volunteering in prison as well as with us and now he's been given parole. He's blown me away with his ability to work with young people and his determination to make sure they don't make the same mistakes that he did. It's a privilege to know him and be part of his journey." She's compelling in her enthusiasm for supporting those who have not been afforded many choices in life. The history and thriving existence of Art Against Knives is an example to all of us - instead of forcing blame on individuals, we need to look at the wider picture and attempt to stabilise life for those left behind by inequality. For more on Art Against Knives, head here. Follow the story as it develops and follow Peace One Day's latest updates here.